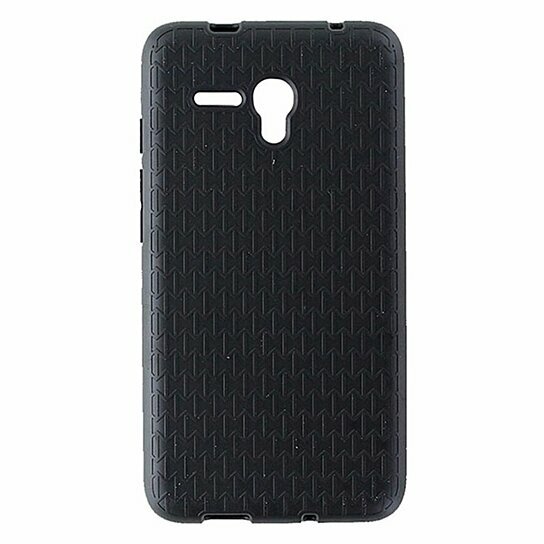 T-Mobile brand Flex Protective Gel Case for Alcatel OneTouch Fierce XL. Patterned matte Black finish. Flexible material and non-slip grip helps protect your device.